Much like the Olympics and presidential elections, we get this extra day known as Leap Day on the calendar once every fourth year which doesn't really mean much to me but a prolonged February. And although not a festive holiday since it's essentially a day created for calendar maintenance, our culture has deemed it cause for celebration. Far be it for us to deny any excuse to celebrate, so we've gathered the various things happening in and around the greater Los Angeles area in honor of this addition to the calendar for you to join in observing its specialness. Please note that there is absolutely no theme, sentiment or commonality between these events other than the day they on which they fall. 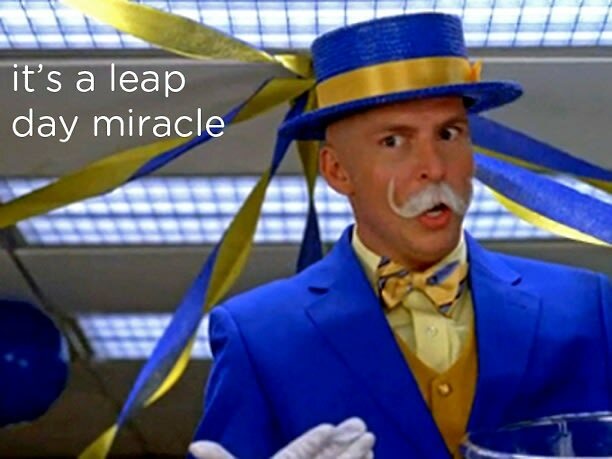 Happy Leap Day, everyone.